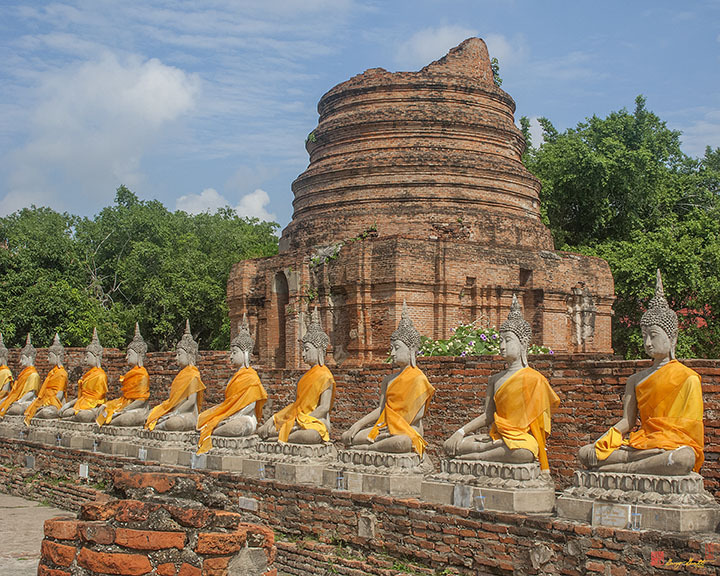 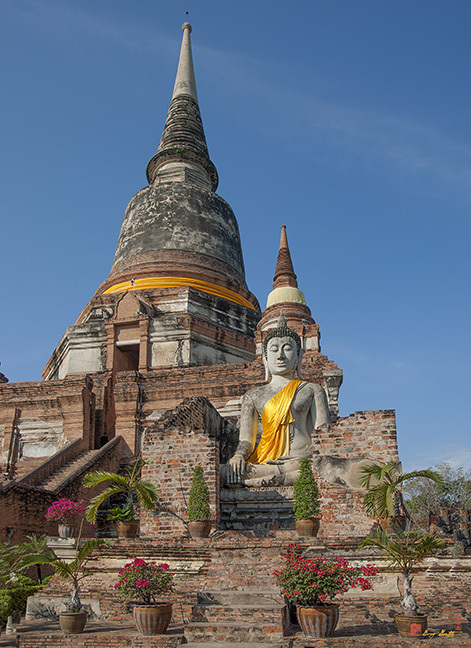 Wat Phra Chao Phya-thai, วัดพระเชาไพยาไทย, also known as Wat Yai Chai-mongkol, วัดใหญ่ชัยมงคล, is situated to the southeast of Ayutthaya. 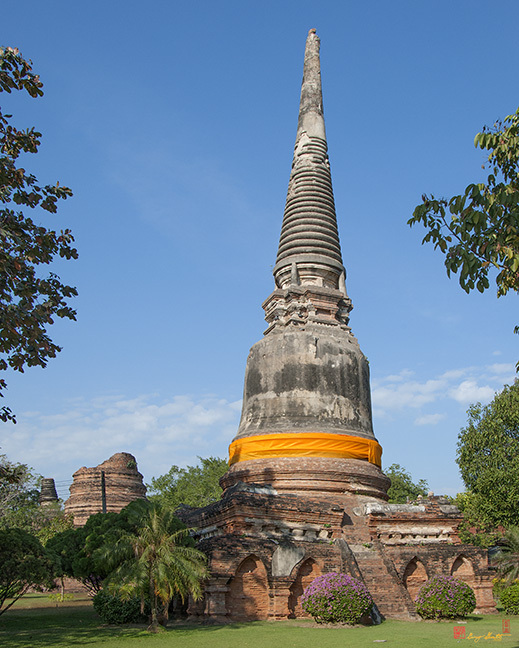 The large chedi (stupa) there can be seen from a great distance. 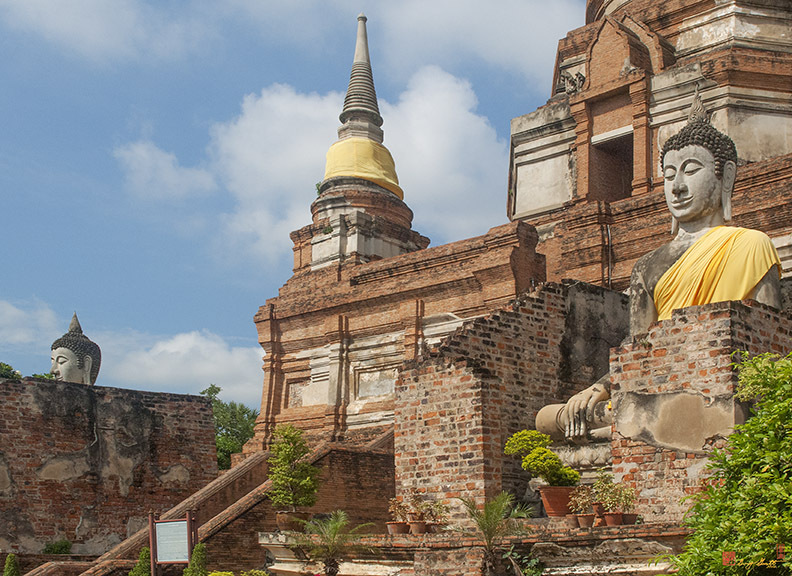 This Monastery was built in 1357 A.D. by King U-Thong for monks who had returned from Ceylon (now Sri Lanka) after studying under a revered master. 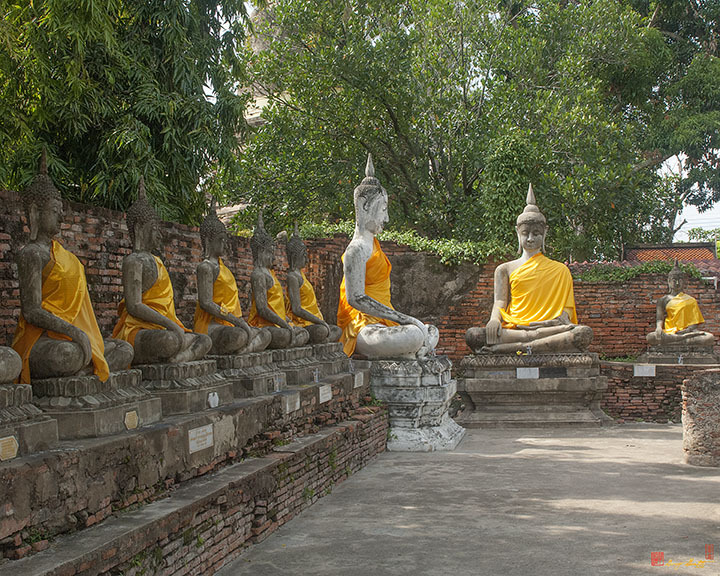 This monastery was originally known as Wat Pa Kaeo. 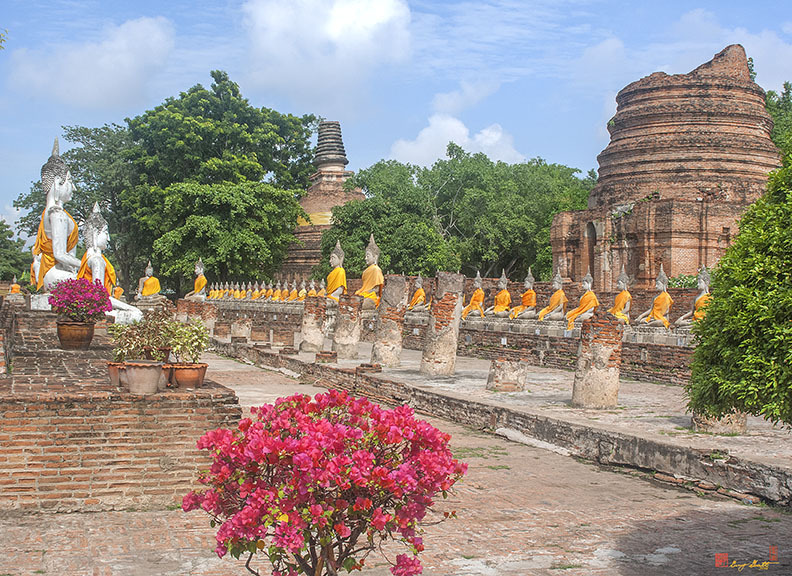 After the king conferred the title of "Somdej Phra Vanarat" ("The Patriarch on the Right Hand Side") on the Vhead of the sect, the monastery was named Wat Chao Phya-thai which means "The Temple of the Supreme Patriarch". 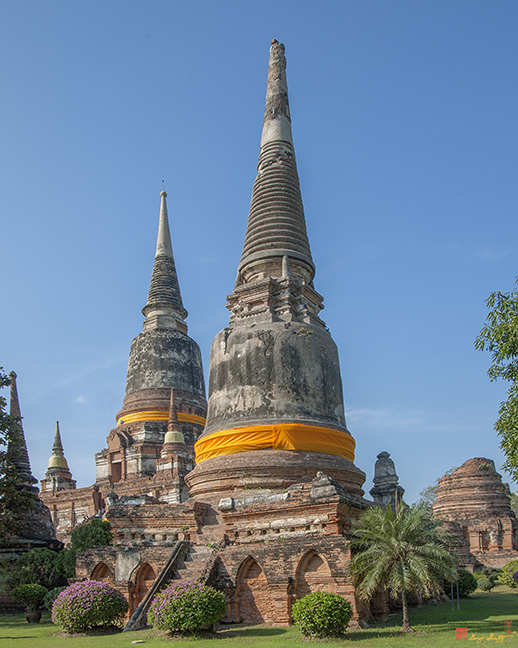 A large chedi or stupa (Thai version of the Chinese pagoda) was built here by King Naresuen the Great to celebrate his victory over a Burmese leader in hand-to-hand combat on elephant back. 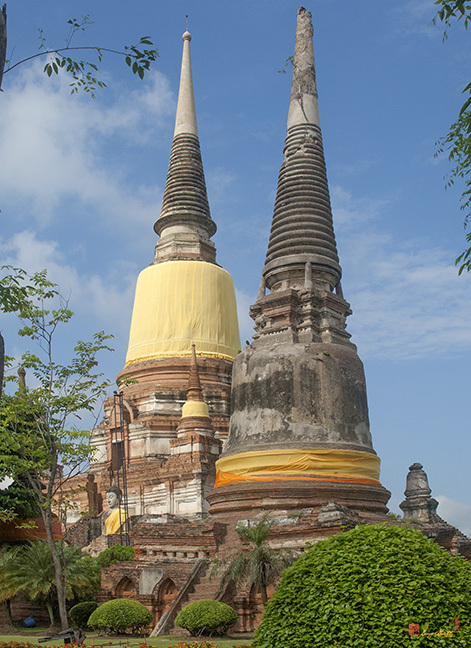 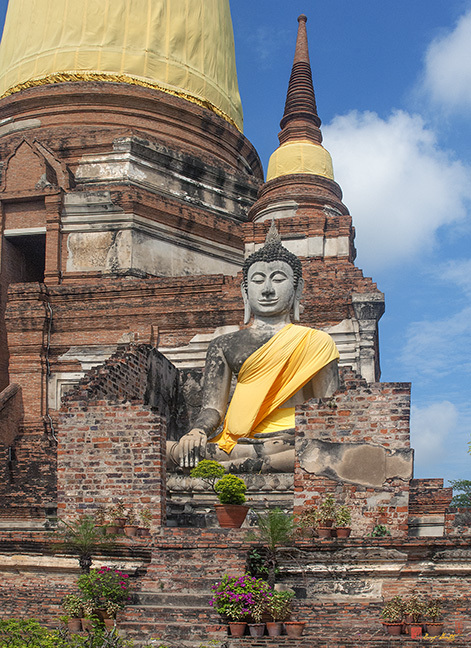 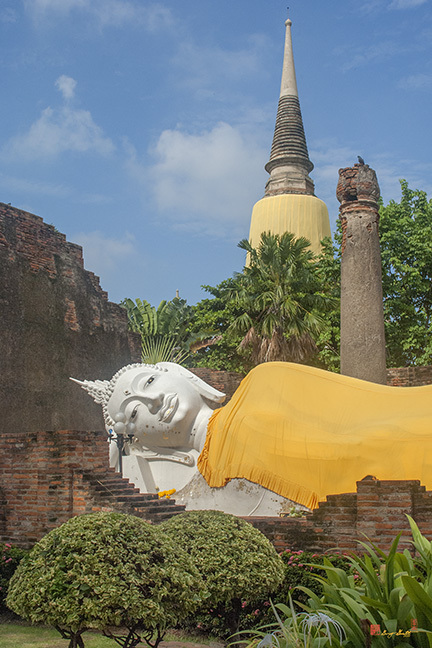 The king built a second chedi named Phra Chedi Chai-mongkol, or the Chedia of the Auspicious Victory, but it was popularly known as Phra Chedi Yai, or the Great Pagoda. 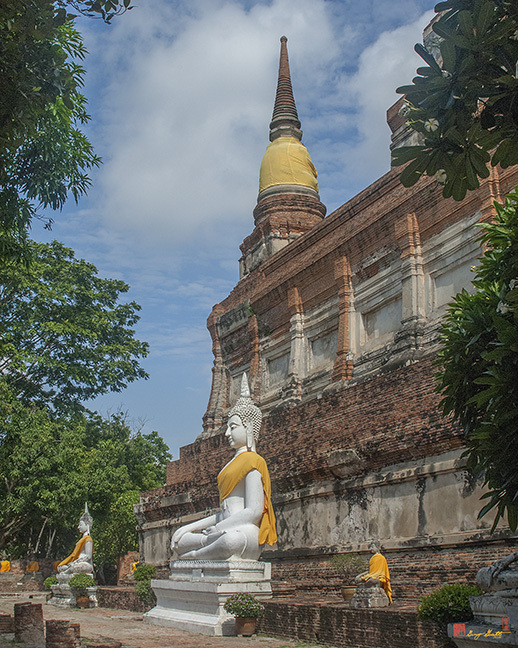 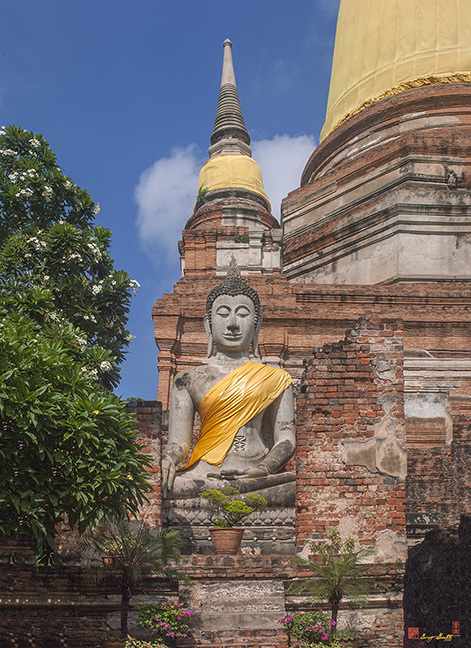 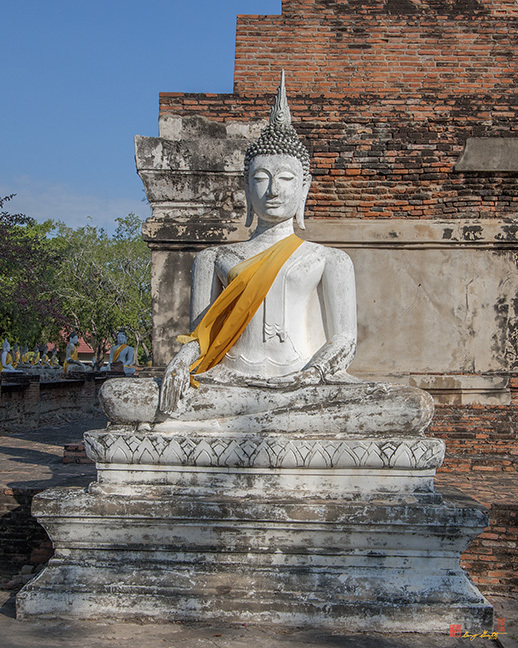 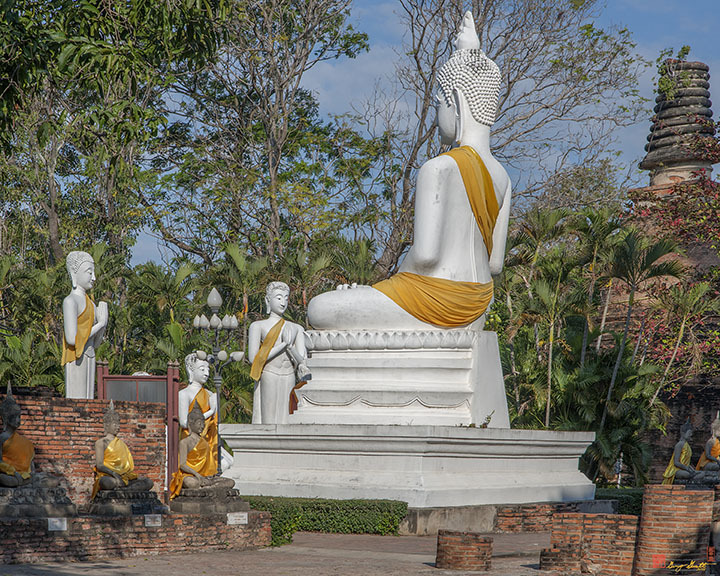 Later on Wat Chao Phya-thai also came to be known as Wat Yai Chai-mongkol.